I know that people have their guilty pleasures. I'm sure that, at this moment, some of you have stashed away some chocolate in a secret location in your home. Some of you are heating M&M's in the microwave because you like them warm and creamy. (I know who you are!) And, some of you are taking a pan filled with nachos covered in refried beans and jalapenos out of the oven and will eat them alone in your bedroom while laying in bed, surfing the web, and texting your kids in the next room. 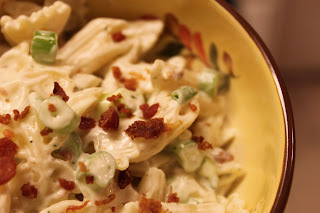 I'm not judging because I, too, have my guilty pleasure and this is it - Ranch and Bacon Pasta Salad. Whenever I cook it for dinner, I "sample" bowl after bowl of it while my husband is outside sweating over the grill. By the time dinner is ready to be served, I'm usually gorged out and can't even look at it anymore. "No, don't mind me. I don't want any." I'm a little hesitant to share this recipe since I know what problems it can lead to, but I'm going to trust that all of you have more willpower than I do. Besides, it's simple to make...maybe too simple. 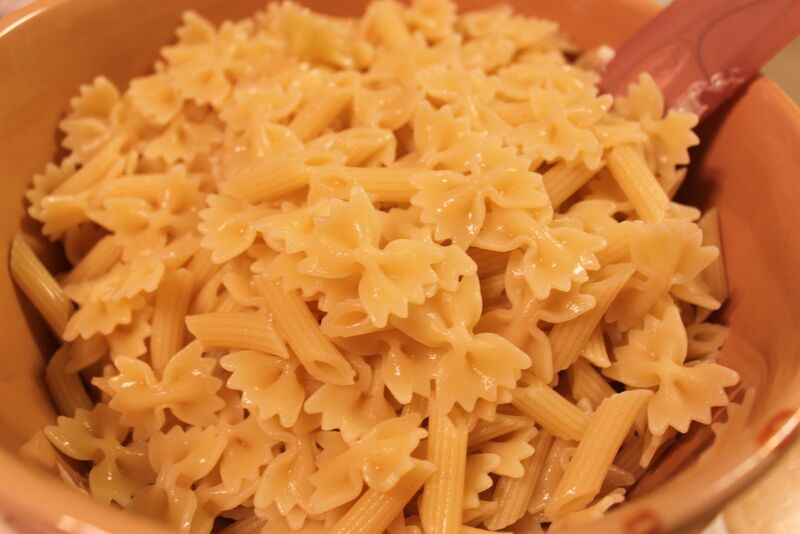 Cook pasta in salted water according to package directions, drain and rinse. 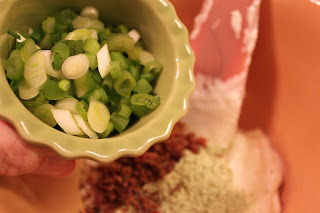 In a bowl, mix together mayonnaise, dressing mix, bacon bits, and green onions until well blended. Add drained pasta. Mix well. Pace yourself. To make the sauce, add a tablespoon of Ranch dressing mix to the mayonnaise. I always keep a package of the dressing mix in my pantry. It can be used for so many recipes. This was actually Ranch dip mix but it works the same way. Add one tablespoon of bacon bits. 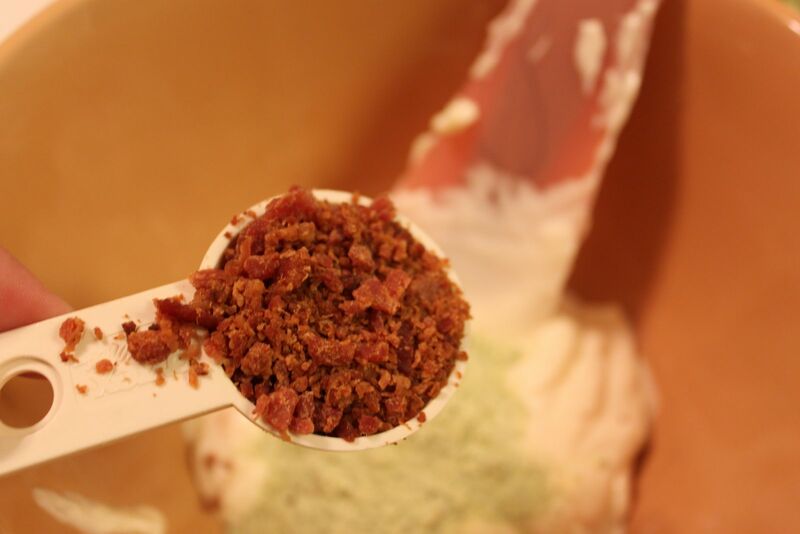 I also keep a bag of these 100% bacon bits in the fridge, too. I'm talking about the real bits that come in a little baggie, not the hard crunchy ones in a bottle. But, they may work, too. Feel free to experiment. This is three chopped green onions. 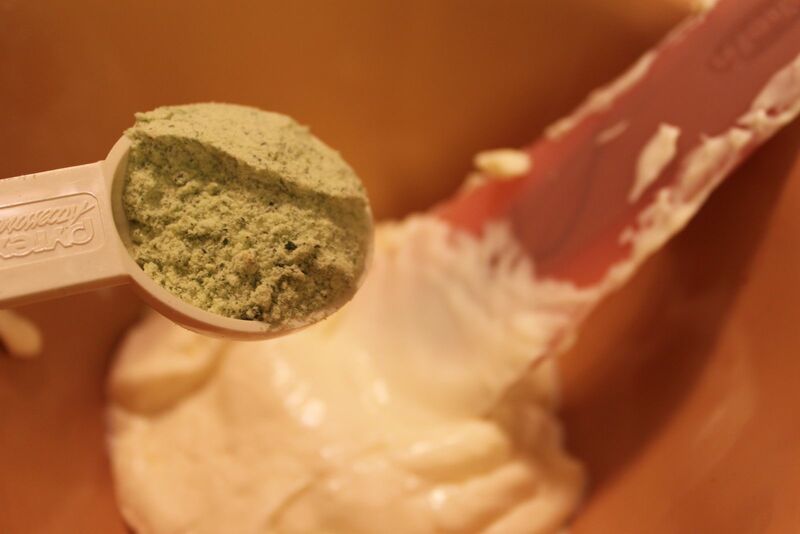 Mix all of the ingredients together until well blended. I used two different kinds of pasta here since I had two opened boxes that needed to be used. Add them to the sauce and stir well. We love pasta salad. I'm going to have to try this one real soon. Yum! LOVE...will have to try!